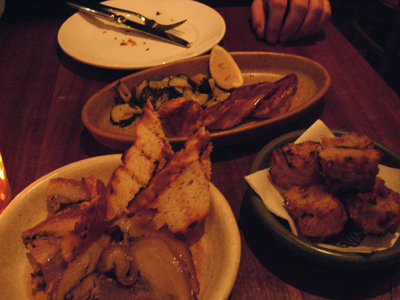 Svago is a recently opened Italian restaurant in what used to be Baraka in High Street, Kew and what intrigued me when I first heard about it was that all the dishes are made to be shared - there's none of that entrée/main demarcation. 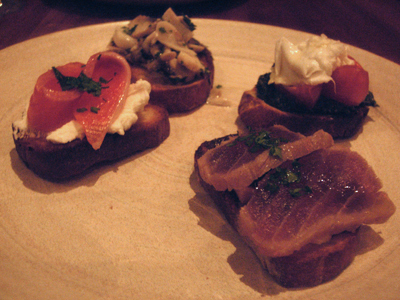 Svago Bruschetta plate - ocean trout with goat cheese, marinated mushrooms, mozzarella, tomato, basil & rocket pesto and cured tuna - an excellent assortment that offers exciting choices. Baccalà Mantecato with potato foam and Parmigiano cylinder - the baccalà was as good as we'd had in Venice, though we shared it, we each could have happily eaten one all to ourselves. 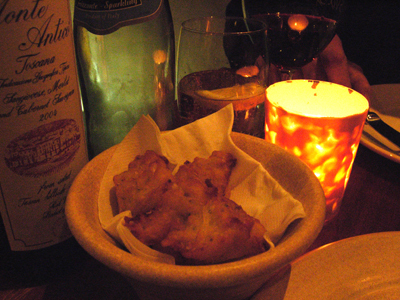 Zeppole of Whitefish - whitefish fritters - though fried they retained no excess oil, light and fluffy and absolutely morish. 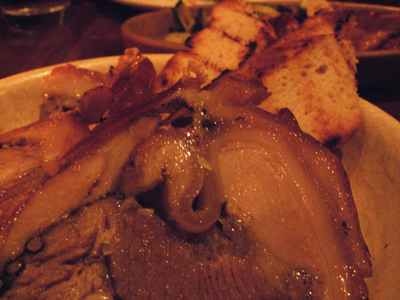 porchetta - rolled and stuffed with herbs it comes sliced and served with grilled bread. 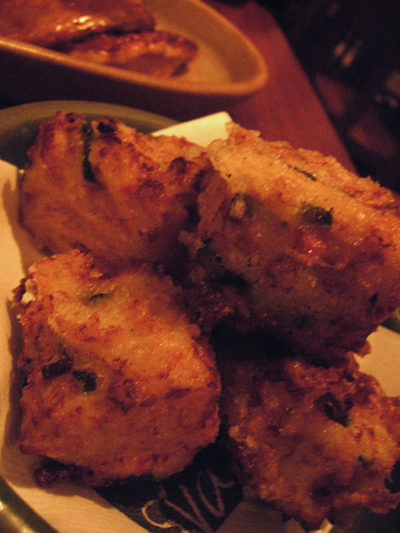 are these fritters of pasta frittata - crumbed and fried, these golden cubes contain an interesting mix of pasta and vegetable. 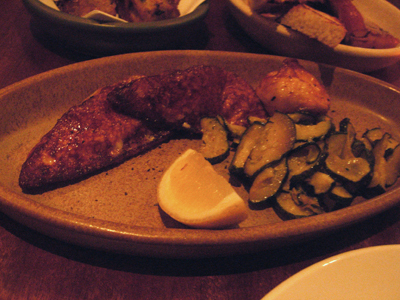 grilled scamorza cheese served with minty zucchini slices - a winning combination of smokey, chewy cheese. 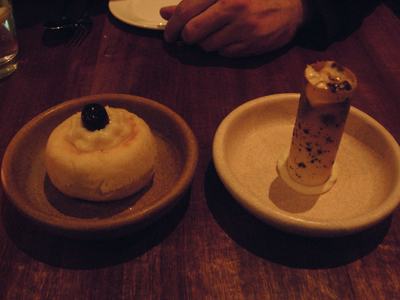 rhum baba on left and an unusual looking cannolo on the right - both dishes were extremely light, the rhum baba had a cloud like consistency while the case of the cannolo was wafer thin. 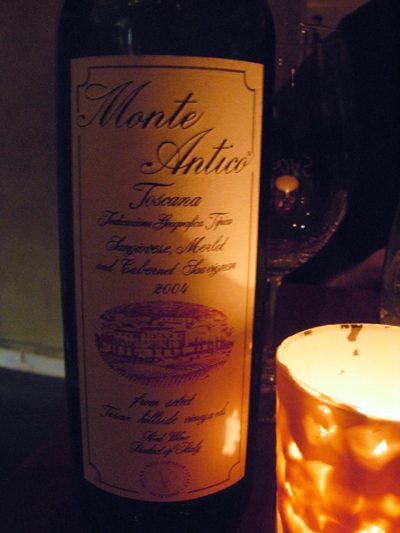 We both left here with huge smiles on our faces - it is exceptional Italian food that doesn't rely on cliche. It's the type of food you would find in Italy and for a while you can pretend that you are - the only thing that is missing is a tv in the corner showing soccer. 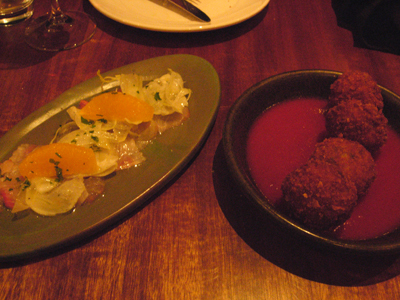 It's lovely to hear Italian spoken and Paalo always gets a kick from asking for "il conto." I hope the locals realize that they have a gem in their backyards. So not really the best place to go on your own then! 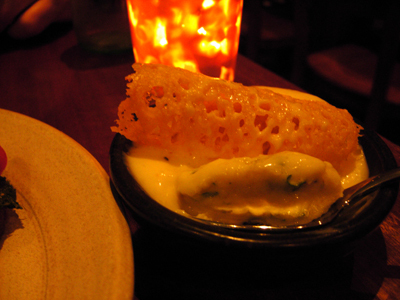 You can go there by yourself - the larger dishes aren't main course sized. You can easily do something like 2 small and 1 large dish, nothing is overly heavy. How much did you meal cost? What are the price ranges for their dishes?